At first I wasn't planning to buy any of the Maybelline Colour Tattoos, because I didn't believe they could be good. I did swatch them few times, something kept making me go back to them. The coloured ones weren't for me, as I hardly ever wear any colours on my eyes other than neutral browns. I'm a big sucker for hyped products around blogosphere, why is it so difficult to control myslef? 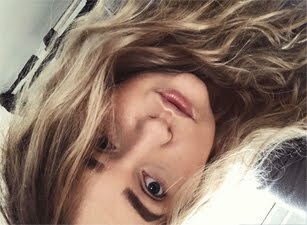 When swatching the On and on Bronze, I thought it would be great to wear on the outer corners of my eyes, as it seem too be a little dark, to wear all over the lid. 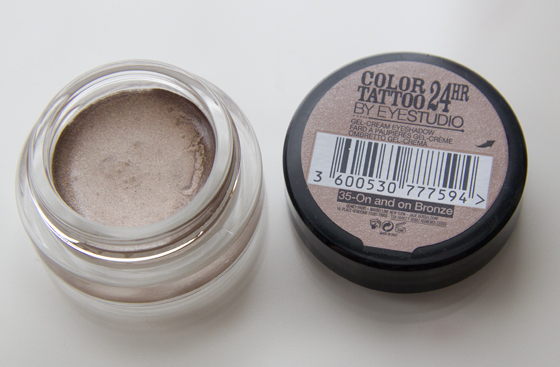 While trying it out on my eyes, I had applied it all over the lid and fallen in love. It's not that dark and scary as I thought. I must mention that I feel like it brings out the blue in my eyes. The Colours Tattoo's don't crease, as well as they don't smudge, pigmentation is very good. The gel/cream eyeshadow is very easy to blend. I haven't tested it for the full 24hr, who wears make up for so long? After 9 hours of wearing it was still going strong, the colour still stayed the same. 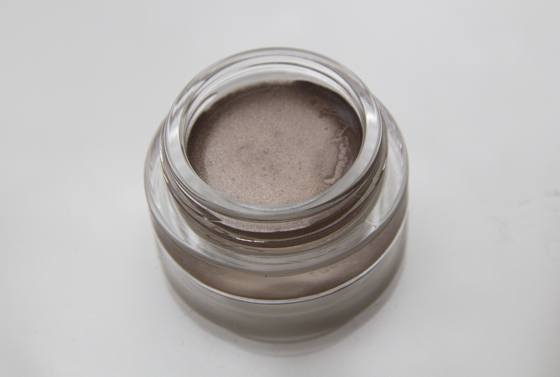 On and On Bronze is a shimmery gel/cream eyeshadow and I love that, because I'm not a fan of matte eyeshadows. I personally like to apply this eyeshadow by using my ring finger, while trying to apply it by using a brush too much product was picked up and it didn't look as good as using a finger. 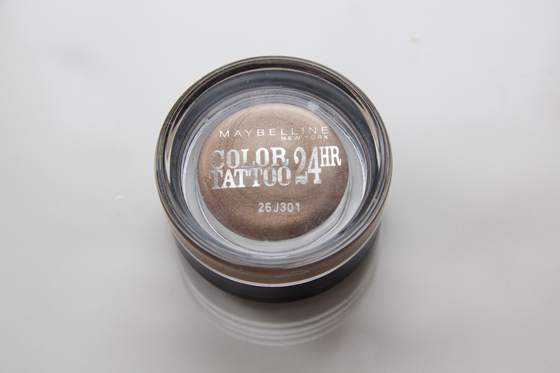 Maybelline Colour Tattoos are really good and defiantly worth the price. Wish the colour range was a bit more wider, hopefully some new shades would arrive soon. I'm really surprise how much I like this product. Did any of you had a chance to try these out, what colour is your favourite? I have all of these at the moment, I love to experiment. I too have blue eyes and I agree, the 'On and on bronze' brings them out lovely! I have to say, I think my favourite one is the 'Eternal Silver', it is so divine, so sparkly! I really like these colour tattoos! I love On and On Bronze, I wasn't planning on buying any of the Colour Tattoos until I swatched it and fell in love with the shade! These look great, I'm planning on getting some myself this week. Wish they had more shades though! I've heard so many good things about these, must pick one up next time I go shopping. I've got a giveaway on my blog if you fancy checking it out. I've been wanting to try one of these forever (because yes, everyone is talking about them). I'm glad you like it (but this might make me go and get one too haha).